Welcome to Berry Fresh Cafe! Berry Fresh Cafe is where friends meet friends for breakfast, brunch and lunch to enjoy fresh, healthy, delectable made-from-scratch foods that will leave you exclaiming “OMG”! Our deliciously creative menu has something for everyone, from Vegans to avid carnivores, and many of our foods are sourced locally for authentic farm-to-table freshness. The Berry Fresh experience includes genuinely friendly staff and excellent service from the moment you walk through the door. 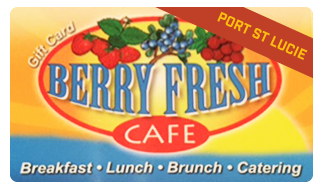 Serving Breakfast, Brunch and Lunch 7 days a week, Berry Fresh Cafe has three convenient Florida locations: Port St. Lucie, Jupiter and Stuart. Come on in and experienced the Berry Fresh difference for yourself. We look forward to serving you! This place is truly a gem! Open from 8:00am to 3:00pm Mon – Thurs • 7:00am to 3:00pm Fri – Sun. Click here for more information on our locations. 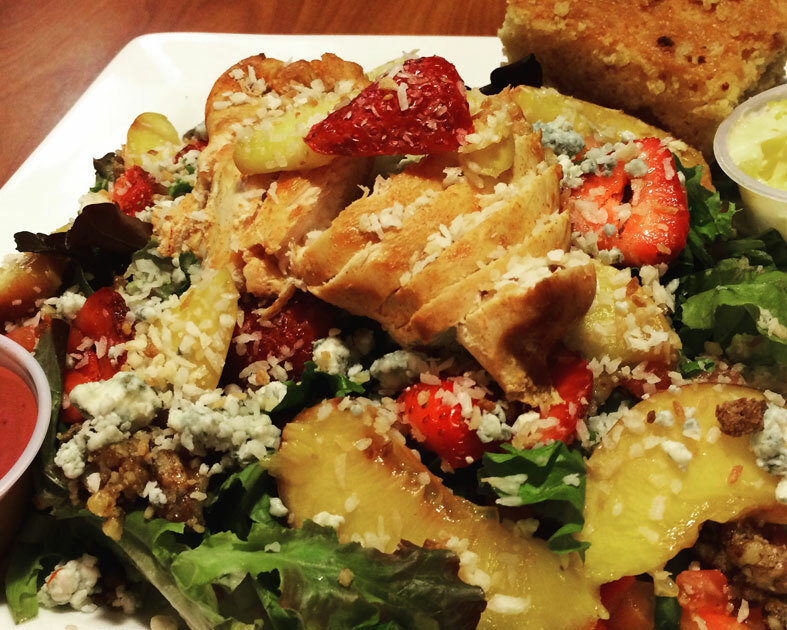 What makes Berry Fresh Cafe Special? At Berry Fresh Cafe, we use ONLY the freshest high quality ingredients available. 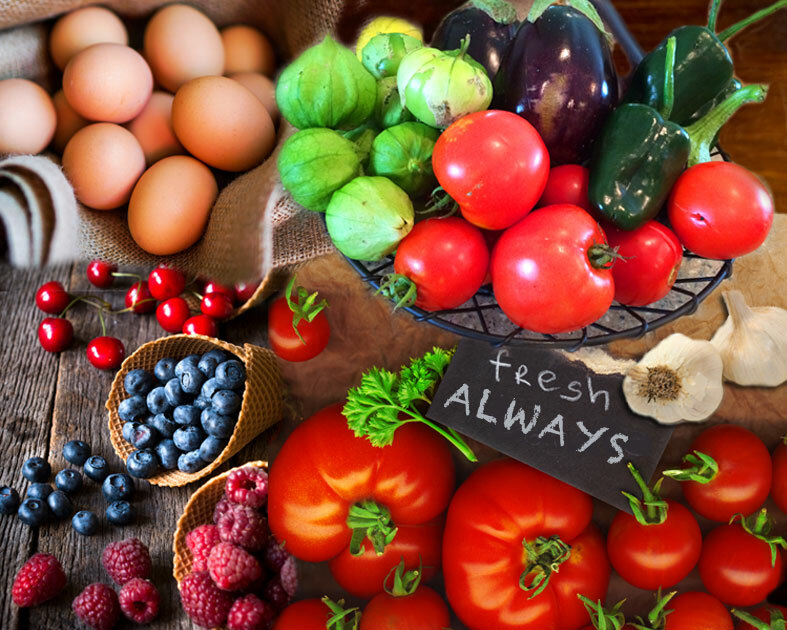 Whenever possible, our food is sourced locally, meaning it’s fresh from a nearby farm to your table. Our talented chefs are always coming up with unique ways to create healthy AND tasty dishes. Our “What’s Fresh” blackboard menu is constantly evolving with “OMG!” selections you won’t find elsewhere. At Berry Fresh, we care about our customers! Our staff is warm & friendly, addressing each regular by name & remembering their personal preferences while making newcomers feel right at home. WITH A CATERING ORDER OF $100 OR MORE. Looking for that last minute gift and no time to shop? What better way to say Merry Christmas or Happy Holidays than a BERRY FRESH CAFE eGIFT CARD! Order your gift card from your easy chair and have it delivered via email or to their smartphone with your personal message. This has to be by far the best restaurant experience I’ve had in my 30 years of life! And for someone who’s been in the industry half of that time you know it had to have been an epic meal. Not only was the food perfection, the service was excellent. 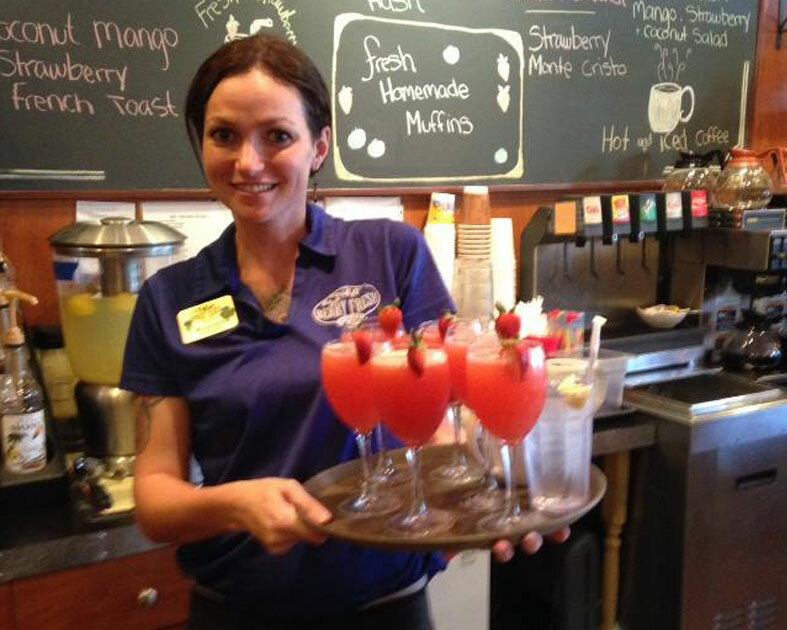 Our server Diana was knowledgable, funny, helpful, attentive and just excellent overall! She made us feel like we were family in her home and that is the best way a guest should feel. Delicious fresh food. Mellow atmosphere. Kind people. You will be greeted by every face that works there with a warm genuine smile. The customer service was wonderful. Even as a Vegan with a more strict diet, I highly recommend this place to everyone passing by Stuart area. I haven’t ordered anything I didn’t like here. Their seasonal stuff is always made with fresh ingredients and the big breakfast is a great value! Fantastic! Great food, service and atmosphere. Loved the Big Breakfast deal and never tasted ingredients so fresh. Our server was top rate and we can’t wait to go back again. Didn’t even have to think about giving this place five stars. Every single thing I put in my mouth was delicious. All their ingredients are purchases locally so it all tasted so fresh! The guava fresh toast was the absolute BEST French toast I’ve ever had in my life! Always a winner! 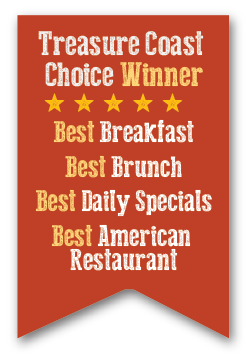 The best breakfast menu in an area that has other great places to eat! Not only a wide variety of item choices but creativity galore! There is something for everyone here. From Day 1 the food was great but the service is always outstanding as well. Follow us for the latest news & specials! Share! It’s the nice thing to do! 1718 SW St. Lucie West Blvd.